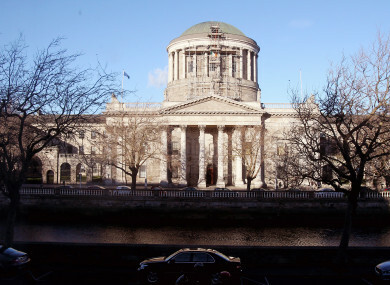 THE WAITING TIMES for an appeal to be heard in Ireland’s Supreme Court have been cut from almost five years to one and the court’s backlog has been effectively cleared. The country’s highest court launched its first annual report today in Galway, where it will hear a number of cases in NUIG this week. The report shows there was a 10% increase in applications for leave to appeal filed in 2018 compared to the previous year. The court determined 157 applications for leave to appeal, disposed of 128 appeals and delivered 91 reserved judgments. The court has also now effectively disposed of its backlog of legacy cases which had accumulated as a result of an almost universal right of appeal to the Supreme Court prior to the establishment of the Court of Appeal. Only a small number of these cases remain where certain procedural issues have not allowed for them to be dealt with in full yet. Tomorrow the court will deliver judgement in Denis O’Brien’s appeal against the decision in his case over statements made about him in the Dáil in 2015. This will be broadcast live by RTÉ on News Now. And on Wednesday it will hear an appeal in relation to the approval by An Bord Pleanála of the first phase of Apple’s planned €850 million data centre in Athenry. This is the first time the court has sat outside a courthouse since the reconstruction of the Four Courts in 1932 and it is only its third time to sit outside Dublin. Chief Justice Mr Justice Frank Clarke said he hopes the work of the Supreme Court can be highlighted and that the general public can gain a greater understanding of what it actually does. “It is important to stress that the work of the Supreme Court has evolved significantly in recent years. The establishment of the Court of Appeal in 2014 has changed the structure of the caseload of the Court. “Each member of the Court is also engaged in extra-judicial work, outside of hearing appeals and delivering judgments. The Supreme Court of Ireland is a member of no less than ten European and International networks and participation in each of these networks requires extensive judicial resources”. Comments are closed on this piece as it relates to ongoing cases before the courts. Email “Supreme Court cuts wait time for appeals to one year”. Feedback on “Supreme Court cuts wait time for appeals to one year”.